I had type the wrong picture number, it is fixed now. The AN870 seems to have about twice the usable frequency for TrueRMS, half a digit extra on most measurements, otherwise very similar. How do you get that, they both drop just above 2kHz, i.e. RMS needs considerable lower frequency to work. PS: how well does the NCV tester work? Can it detect wires in walls? I have a wall without wires in that most NCV tester signals on. NCV is fairly difficult to compare because how you hold the meters is one of the parameters for sensitivity. If you have your hand around the meter and the wire is just behind a very thin wall it might give alarm. 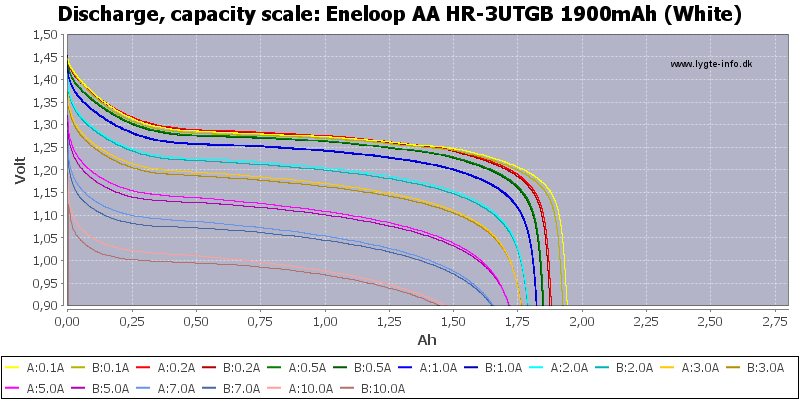 Can I power AN870 with two AA NiMH cells ? The AN860B+ is 5% down at 1kHz, 12% down at 2kHz. You say the AN870 is 5% down at 2kHz, that's half as much. Meter works down to 2.2V where it turns off, battery symbol show at 2.4V. You cannot use the full runtime of them, the meter says empty battery at 2.41V, that would mostly work. My numbers says 2kHz and 5% for both meters, measured with a sinus. It is a fairly high order filter. A square wave is only about 10% different from a sine wave. I was using a square wave, maybe that's the difference. what about temperature compensation ? As it says at the bottom of the review I got this meter from Banggood and after my review they decided to add some discount (I do not now if they raised the price before they did that ), details are on my frontpage (Click globe). is it same circuit as qn860 or not? It is rather difficult to read the type number on a COB chip and I am not going to check the contents of the EEPROM. And about wrong temperature mesurement of AN860B+ brother ? I never had any problems with it. Probably somebody that do not know how thermocouplers work, there are a couple of pitfalls. So what's the verdict ? I need a 2nd DMM for breadboard level stuff and for upto 240V mains heaters/hotwater boilers, once in a blue moon. And I don't want to take my quality DMM out of my house. So for $50 is a good choice for that ? The consensus seems to be that these cheapos, while useful for extremely low-current, low-voltage work, are not suitable for working with mains. I do not think anyone here would suggest that the meters discussed in this particular thread can be considered "safe" for household use, let alone industrial applications. If safety is your concern, that is what you are paying for, not the meter. I'm interested in this model because of what it can do at the lowest ranges, but I wouldn't trust my life to the diaphamous input protection on the device when working with higher voltages, and I don't recommend you do either. I am fairly certain one of mine died at 120v. The leads are junk and there is little protection in the meter. Get something else. Yeah rewatching some of Joe Smith's testing video's (of others), this thing has no amount of input protection MOVs or PTCs.